Originally starting out as tengal6 back in 2010, the Tokyo-based group recreated themselves as lyrical school 2 years later. Coming over in the same vein as classic Japanese hip-hop duo Halcali, lyrical school have crafted their own funky sound which is front and centre for the new video. Scaled in the same aspect ratio as your typical smartphone (with an iOS overlay), ‘RUN and RUN’ features the 6-strong girl outfit performing through a series of apps, such as Twitter and iMessage. It’s a clever and novel approach to video that seems perfectly suited to 21st Century pop culture. It’s certainly caught the eye of the interwebs with over a million views of the video chalked up already. As a tune, ‘RUN and RUN’ is also a lot of fun with an energetic handclap-driven melody. If you liked Halcali and the likes of Charisma.com, then this idol group’s musical outings will probably get your attention. 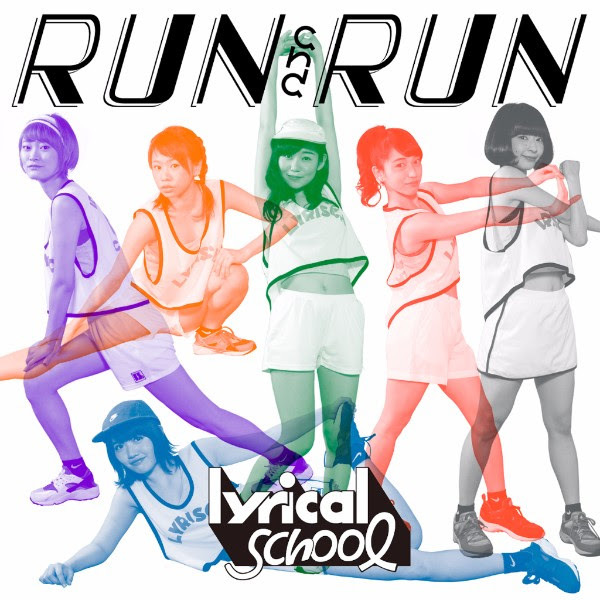 Signed to King Records in Japan, lyrical school have also released ‘RUN and RUN’ on the JPU Records label here in the UK. The digital release also includes re-recorded versions of some of the group’s earlier songs, such as ‘brand new day’ which appears to adopt the The Jackson 5’s ‘I Want You Back’ with a contemporary sheen.